Feeling uncertain about life? Need a bit of guidance? A Japanese firm is launching a new service allowing you to talk to a smart speaker and receive a sermon from Buddhist monks. Tokyo-based Yoriso said Thursday its new feature would enable users to listen to three-minute sermons via a smart speaker given by four monks depending on their mood. A three-minute sermon is often given at religious services to commemorate the anniversary of a loved one's death in Japan. Users can talk to a smart speaker developed by Japan's messaging app giant Line and decide how they are feeling: uncertain, angry or sad. The speaker will then choose a sermon randomly from 12 talks. 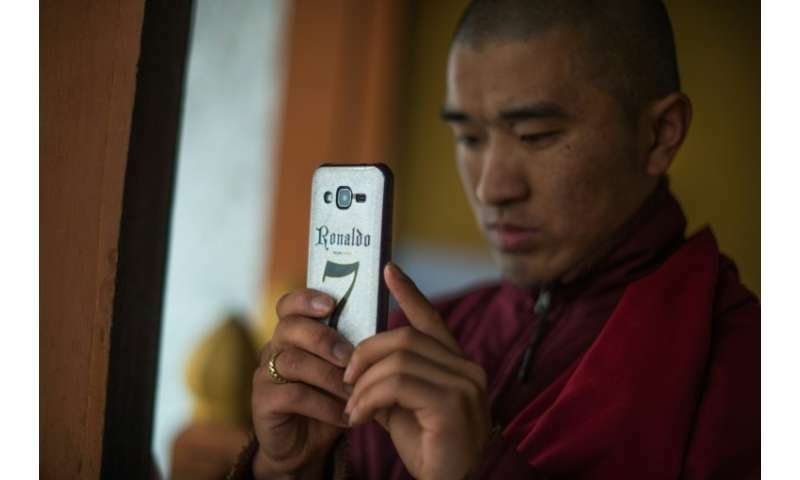 "We hope that people will feel close to Buddhist monks" through the new service, Ayaka Takada, spokeswoman for Yoriso, told AFP. Buddhism and Shintoism are the two major religions in Japan but attachment to religion has dropped. As the population ages and rural communities shrink, some 30 percent of Japan's 75,000 Buddhist temples are at risk of closing by 2040, according to Kenji Ishii, a professor of Kokugakuin University in Tokyo. The new service will be launched late next month.